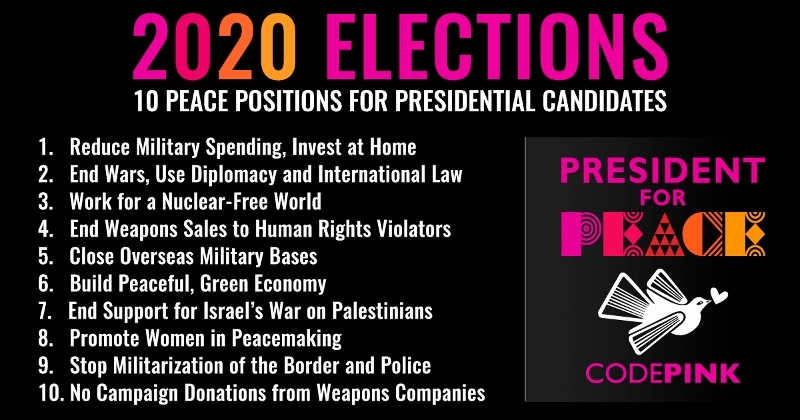 What hope is there that one of the Democrats seeking the presidency in 2020 could be a real peace candidate? Could one of them bring an end to these wars and prevent new ones? Walk back the brewing Cold War and arms race with Russia and China? [Medea Benjamin, co-founder of CODEPINK for Peace, is the author of "Inside Iran: The Real History and Politics of the Islamic Republic of Iran" and "Kingdom of the Unjust: Behind the U.S.-Saudi Connection."